Shadow of the Colossus belongs with the giants of the medium. Despite obvious design flaws and considerable technical issues -the natural consequence of an aging platform struggling to contain its unbridled ambition- the stature of Fumito Ueda's masterpiece grows with every passing year. It helped define a hardware generation, it sold -alongside older sibling, Ico- numerous Sony consoles, and it was the most commonly cited title in the backlash that prompted Roger Ebert to issue a reluctant semi-retraction of his infamous aphorism that “video games can never be art”. It is a game endlessly referenced, analyzed, and revisited. Isn't it peculiar then, how rarely developers have tried to imitate it? Consider this, for perspective: Demon’s Souls arguably was to Playstation 3 what Shadow of the Colossus was to Playstation 2, in terms of their function for their respective platforms. Both titles provided innovative, unconventional experiences; both were showered with critical praise and went on to become unlikely commercial hits; and both were true exclusives cementing their legacy as much on the admiration of the people who played them as they did on the envy of those who couldn't. Yet, while there are countless lists floating around in YouTube, forums, and gaming sites enumerating titles either inspired by or blatantly copying the former (we have one ourselves! ), to the extent that the term Souls-like has entered the gaming lexicon, finding a game demonstrating a direct influence by the latter is a much trickier proposition. Put Google to the task and the best you'll come up with is a suggestion to try Ico, assuming you haven't done that already, next to a number of dubiously assembled collections including the likes of Myst and Banjo-Kazooie. Why is it so hard, more than ten years after its initial release, to play something similar to Shadow of the Colossus? Part of the answer may lie in its unique concept. Ueda's game famously features no combat or any other challenging tasks outside of your tussles with its sixteen colossi: there are no hostile minions to cleave your way through, no hazardous platforming sections to measure your dexterity against – you just have to track down each noble beast and then proceed with the grisly business of murdering it. These encounters have been traditionally discussed as a sequence of boss fights, but it's a simplistic and unfair portrayal, one that fails to do justice to the complexities of their design. Rather than mere end-of-level bosses, the gargantuan creatures you are asked to confront are, in fact, better understood as a series of levels themselves, levels that just so happen to be sentient, tumultuously mobile, and -after being provoked by your unwarranted invasion- viciously aggressive. As ontologically confusing as this may sound -they are videogame enemies for the player to put down, after all- it starts making sense if you regard each colossus as a living landmass, one whose secrets are revealed through a form of spatial exploration that comes with its own set of trials, namely avoiding being thrown off their seismically heaving bodies. 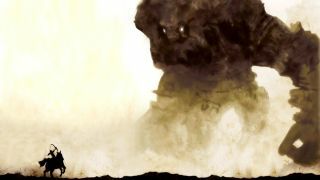 The subtle distinction between an opponent that functions as a level and one that is simply an oversized, powerful enemy is one that has been consistently overlooked by Shadow of the Colossus' few aspiring imitators and, as a result, even when their fights are competently designed, they make for a very different kind of experience. Take Titan Souls, for example, perhaps the game most explicitly paying homage to Team Ico's classic. While it retains several elements that were crucial to its inspiration, including a desolate setting, its boss-fights-only structure, and the relative size differential between your character and his enemies, its battles are disappointingly one-dimensional. Survive an onslaught of hurled lava bombs, bouncing slime blobs, or massive crushing fists long enough to figure out your quarry's weak spot, then aim, shoot, and execute. In theory it seems close to the design logic employed by Shadow of the Colossus. Here, however, there's no tortuous progress to be made by scratching and clawing your way across the spine of those creatures, no stories to be told of how you precariously held on to the flailing giant's back by hanging from a tuft of fur or bracing for impact against a fortuitously jutting shoulder blade, making these battles feel less like epic showdowns and more like gimmicky real-time puzzles, of the type that experienced players can solve in a matter of seconds. Recent entry into the very exclusive club of Colossus-likes, Furi, improves on Titan Souls' formula by introducing multi-phase fights and honing combat mechanics to perfection but its duels still play like a collection of conventional boss fights rather than legendary journeys of survival against overwhelming odds. Nevertheless, even at their most awe-inspiring these encounters are hardly enough to sustain player interest and mostly inadequate to explain Shadow of the Colossus' timeless appeal. As pointed out in our Official Playstation Magazine retrospective, exploration is at least as important an aspect of the experience, even if it doesn't feel particularly fruitful in more utilitarian gaming terms, such as pursuing a high score, or searching for a hidden upgrade. In fact it is this deliberate emptiness of purpose that allows you to fully take in the landscape during your lonely treks from colossus to colossus: the tranquil burial mounds, misty swamps, and abandoned temples painting a melancholy image of a civilization long gone and the creatures you're about to slaughter as -perhaps- the last guardians of its memory. The Aquatic Adventure of the Last Human keeps the elegiac tone and transposes it to a more immediately recognizable environment. Our protagonist returns to Earth after a millennia-long journey to find their species extinct from some untold ecological catastrophe. While the game is visually gorgeous in its own low-budget manner, developer YCJY drops the ball by not letting the evocative underwater setting speak for itself, feeling the need to intersperse its shadowy caves and seaweed forests with weapon power-ups and expository holotapes. Moreover, navigation itself is turned into a challenge as the oceans still bear the scars of human irresponsibility in the form of mutated clams and aquatic plants, as well as still-functioning explosive mines. It's a mild challenge, thankfully, but it, nevertheless, distracts player perception from the task of absorbing this beautiful world and reconstructing its past to that of surviving its present. The real triumph of Shadow of the Colossus, however, lies neither in the minutiae of its combat mechanics nor the still breathtaking elegance of its visual design but in how the two combine into an elliptical, non-verbal form of storytelling to impose a very specific tone. Your necessary hunt is wordlessly (thus more powerfully) framed as a remorseful affair, punctuated by the desperate struggles of the colossi to shake you off their wounded masses, their muted moans speaking as much of pain as they do bewilderment at your aggression, their uniqueness charging your heinous act with the weight of extinction. Every tiny detail in the game serves to tinge your victories with sadness. Jotun is an impeccably polished indie title that pours almost as much effort in the visual design of your adversaries, stunningly depicted deities of the Norse mythology that seem like they're taken straight from a Don Bluth cartoon in their clarity and effortless characterization. But it tells a vastly different story. These are furious, warlike gods ready to pummel or incinerate you in order to foil your rightful ascendance to Valhalla. Moreover, the game goes out of its way to justify your heroine's actions, gradually revealing a backstory of injustice and revenge that removes any trace of complexity or ambiguity from your bloody saga. The departure is not inherently problematic but, as is the case with most titles listed here (the seemingly inorganic foes hidden away in Titan Souls' ziggurats; the deranged convicts of Furi's prison world; the frenzied undersea horrors of The Aquatic Adventure of the Last Human) it strikes a peculiar note when that guilt-ridden solemnity is considered the defining element of the game that inspired them.It is only fair to point out that despite their failure to provide a worthy successor to Shadow of the Colossus, most of these games are quite enjoyable when judged on their own merits. It's also rather interesting to note that they are fairly recent, all of them released within the last couple of years. Before 2015 it becomes hard to find any titles attempting to imitate Ueda's classic, let alone coming close to succeeding. Theorizing about the reasons of this late emergence of Colossus-likes is as easy as it is impossible to come up with a definitive answer: was it the maturation of the indie scene that has enabled developers to take on such ambitious projects? A renewal of interest due to the imminent release, at long last, of Team Ico's next project The Last Guardian? Was it simply the fact that the kids growing up with Shadow of the Colossus, their conception of what a videogame could be exquisitely traumatized by its wistful allure, started creating games themselves? Whatever the cause, the continued interest from both developers and players to subsist the trend -as evident by the recent Kickstarter success of Prey for the Gods- means the legacy of Shadow of the Colossus is still alive and that we may be due that worthy successor still.